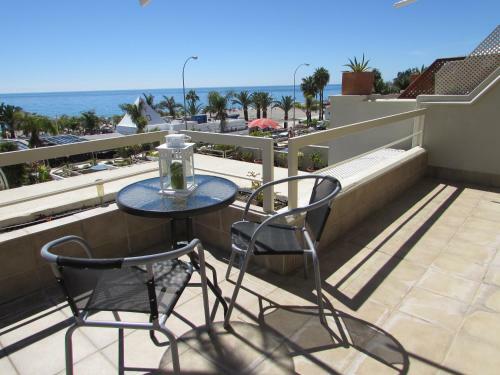 Superb location on sea front of Burriana Beach. Not noisy. A huge balcony. Well equipped apartment. Parking not a problem on the roadside although would be a challenge in peak seasons. Easy walk to the centre of Nerja although if you have mobility problems you might need a short taxi ride as the hill from Burriana is steep. The apartment was nice and suitable for a couple. There was everything we needed. The terrace with seaview was amazing, good furniture, beautiful plants and a large shade. We spent there many days listening the sea and many birds around. Carolina was very helpful and polite. Location is amazing. So close to beach. Very close to Nerja Dive resort where I was training for a week. Beautiful apartment with a massive balcony. 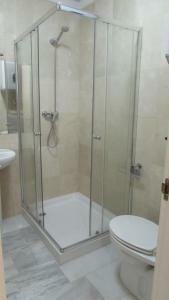 Very well furnished and in an excellent location. The host was very helpful and waiting for us on arrival with the keys. 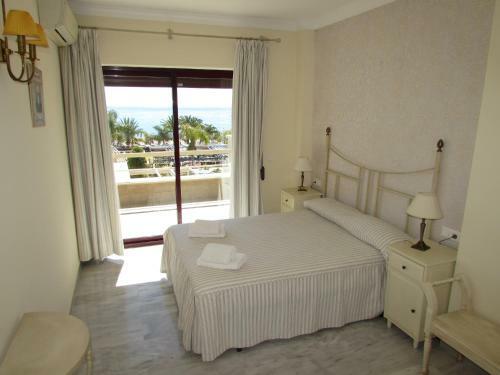 Very good location right on the beach, which was very useful since there are a lot of steep hills in Nerja. 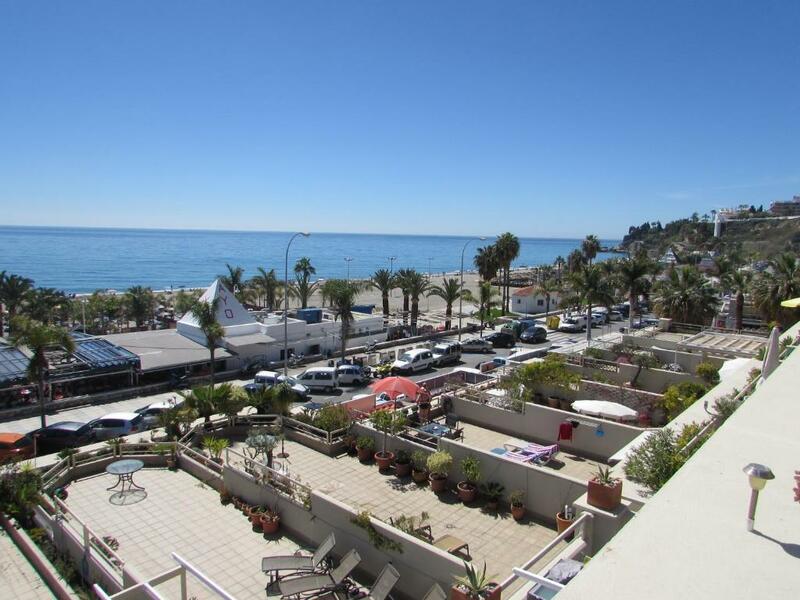 Very big terrace with views of the sea, even if there are a lot of restaurants that covers the view a bit from the sea and beach promenade. Calm and quiet, despite the location next to the beach. Okay air condition. Okay kitchen, even though the utensils were a bit few. Great location at the end of the beach so very quite at night. 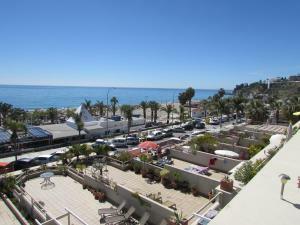 2 minutes walk to the beach. Nice big patio area and sun loungers. Two things (1) a safe and (2) a light in the cupboard are in the bedroom. It was great that we had our keys three hours before check in! Carolina arrived very fast on her motorbike after 10 minutes when we called her. Take your attention that no reception here but it is not problem: your need call Carolina or talk about arrival time by e-mail. Thanks a lot for Carolina! She told us about near supermarkets and light sights near Nerja. She keeps apartments in very good condition and cleanness. Kitchen is very good equipped. We lived in the upper floor and had very big balcony and fine sea view. No problem with parking (may be in May is not very high season) but we hadn't parking problem in any time during day. Definetly reccomend. Lock in a great price for Home4Holidays - rated 9 by recent guests. One of our top picks in Nerja.Featuring free WiFi and air conditioning, Home4Holidays is situated 350 yards from Burriana Beach in Nerja. Balcony of Europe is 0.7 miles from the property. All units include a seating area. Some units feature a dining area and/or terrace. There is also a kitchen, fitted with an oven, microwave and toaster. A refrigerator and coffee machine are also available. Every unit features a private bathroom with a hair dryer. Towels are offered. Punta Lara is 2.3 miles from Home4Holidays. Federico Garcia Lorca Granada-Jaen Airport is 30.4 miles away. Home4Holidays has been welcoming Booking.com guests since 22 Apr 2015. When would you like to stay at Home4Holidays? This apartment has air conditioning, tile/marble floor and kitchenware. There is a sofa bed in the living room. This apartment has 1 bedroom and a living room with a sofa bed. This apartment has 2 bedrooms and a sofa bed in the living room. Apartamentos con vistas al mar de 1 o 2 dormitorios con terraza privada, en primera línea de la preciosa playa de Burriana. Lugar perfecto para disfrutar del sol y el mar. 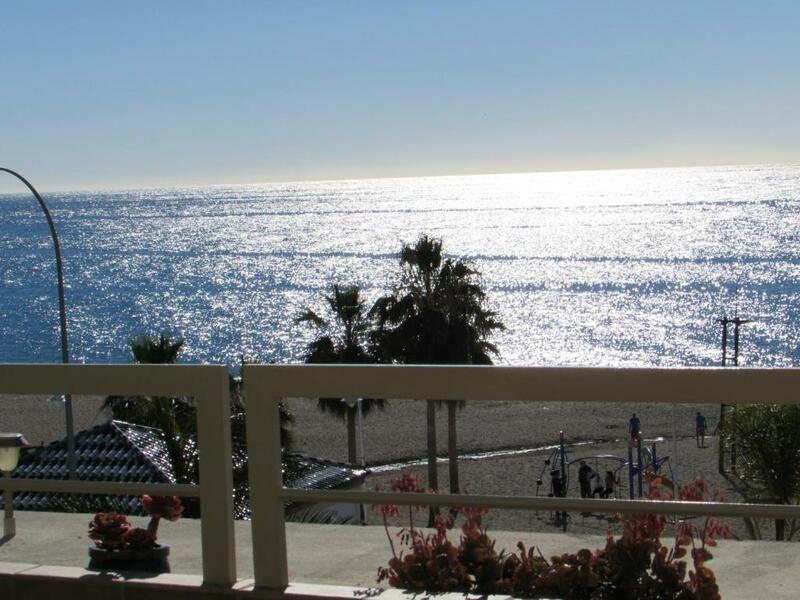 Los apartamentos están situados en las mejor zona de todo Nerja para disfrutar del sol y el mar. House rules Home4Holidays takes special requests - add in the next step! Home4Holidays accepts these cards and reserves the right to temporarily hold an amount prior to arrival. Please inform Home4Holidays in advance of your expected arrival time. You can use the Special Requests box when booking, or contact the property directly with the contact details provided in your confirmation. Not much - an additional set of keys would be beneficial? The refrigerator seemed noisy and old. The kitchen did not have a dishwasher. The kitchen cabinets were worn in places. Carolina was an excellent hostess! 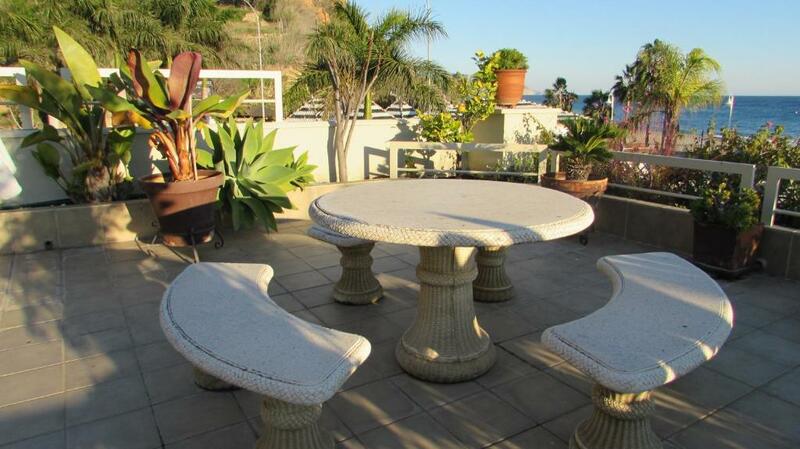 We loved the quiet location on the end and the view from the terrace! It was nice to be close, 15 min. walk, to the city center and the action, but Playa Burianna was very nice and clean with lots of good restaurants. The door to the corridor should be isolated agains the noise. As it was my birthday host left a bottle of wine. Really nice thought. Power could not be turned on without the same key as front door. Need torch to leave and come in. TV reception (satellite) was poor and although Carolina showed us how to use it on check-in a quick guide in the apartment would have been very useful. 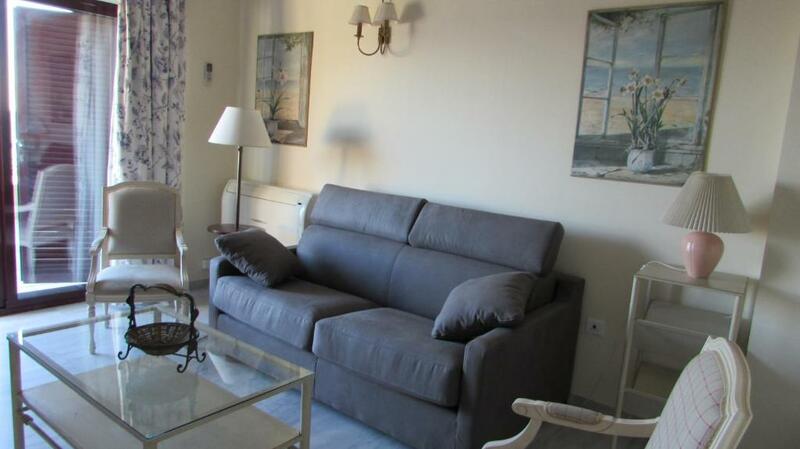 Good location near to Burriana beach. Bed spring is too soft.